DALI Spektor 2 review | What Hi-Fi? On paper, there’s little to differentiate Dali’s new Spektor 2s from any of their main rivals. These speakers stick to the classic budget standmounter formula like Superglue sticks to fingers. There’s everything we would expect from a typical £200 box here, from two-way driver configuration and ported bass tuning right the way through to the 25mm dome tweeter and 13cm mid/bass driver. But as with any dish, culinary or (in this case) acoustic, the list of ingredients only tells you so much - and those familiar with Dali will know it has something of a talent for budget boxes. So it proves with the Spektor 2s. Take them out of the packaging and the first impression is good. They’re nicely made, without quite giving off the quality feel of a pair of similarly priced Q Acoustics 3020s. Still, the panels line up well and general fit and attention to detail is good. There are two options for the finish: the walnut of our review sample or black ash. Both look smart. The Spektor 2s are pretty compact at just 29cm high and shouldn’t dominate a room, even if mounted (as they really should be) on some sturdy stands. Let them run in over a couple of days and supply them with a good system (we use Marantz’s CD6006 CD Player and Rega’s Brio amplifier alongside our usual reference Naim NDS/555PS and Gamut pre/power combination) and these speakers sparkle. Their rated sensitivity is a little on the low side - just over 84dB/W/m - and nominal impedance is 6ohms, so it wouldn’t hurt to partner them with an amplifier packing a decent amount of poke. Our usual recommendations of Onkyo’s A-9010 (£200), the Marantz PM6006 (£280) or Rega’s Brio (£600) will all work well. 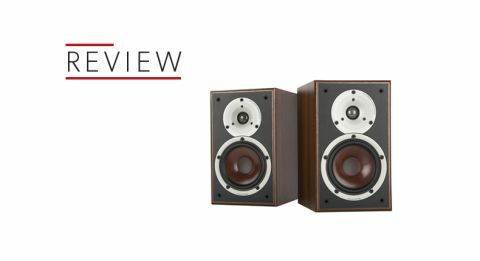 Mounted on solid stands – Atacama’s Moseco 6 are recommended – these speakers display a breadth of talent few similarly priced alternatives can match. The big hitters in this part of the market are the £160 Mission LX2s and the aforementioned Q Acoustics’ 3020s (£200). Both are superb performers – the Missions excel at clarity and precision, while the 3020s offer an enviable combination of refinement and build quality. These Dalis tread the middle path between these rivals brilliantly, while adding greater verve and involvement to the proceedings. Play Aretha Franklin’s (You Make Me Feel Like) A Natural Woman and the Spektors excel with her distinctive and powerful vocals. They’re delivered with nuance and passion, each word crisply defined with no room for doubt as to the emotion behind the lyrics. We like the cohesive way these speakers handle the instrumental backdrop too - they deliver the music with considerable finesse, precision and energy. Moving to Tchaikovsky’s 1812 Overture shows the Spektors are capable of high volume levels and a decent degree of composure when pushed. There’s a pleasing level of resolution here, along with the ability to organise that information into an involving and musical whole. The way these speakers handle dynamics is impressive. They’re fluid and expressive, handling both large-scale swings and low-level subtleties with equal skill. The result is these Dalis have the ability to draw the listener into the music in a way that eludes even the best of their price-comparable rivals. We position the Dalis just a little out from the rear wall and fire them straight ahead, just as the company recommends. This results in an expansive and stable soundstage - but when it comes to scale and authority, the likes of Mission’s LX2s are capable of a little better. Tonally, the Spektor 2s have a full-bodied yet balanced presentation. There isn’t much sign of the over-enthusiastic treble we’ve been subjected to in some previous generations of budget Dalis. This means the 2s are easy to partner ,and less fussy about poor or aggressive recordings. They’re not far off the sophisticated Q Acoustics 3020s in this regard. We finish with Bruce Springsteen’s Radio Nowhere and these boxes respond superbly. They deliver the song’s hard-charging rhythm with glee, lacking little in the way of drive, punch or power. This is a dense production, but these speakers have enough by way of insight and control to keep everything in check. If you’re looking for a top-class pair of budget standmounters, your choice just got bigger. The likes of the Mission and Q Acoustics remain strong options, but these Dalis offer a degree of entertainment even these talented performers struggle to match. They're highly recommended.